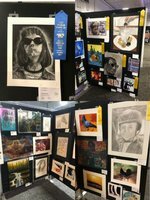 There are about 20 Mid-Carolina High School Art Students represented in the Student Art Exhibit at the SC State Fair this year! Please check them out in the Cantey Building during your visit to the fair. 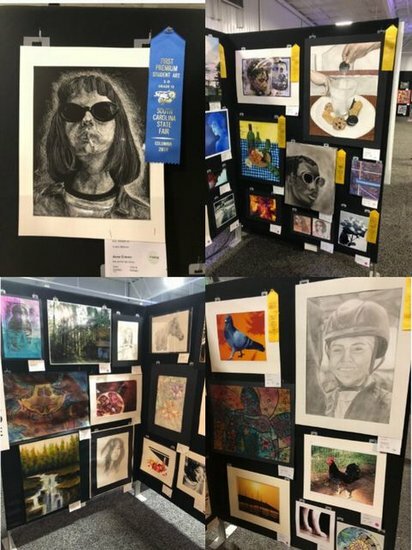 Additionally, Anna Craven won 1st Place in the Grade 12, 2-D Division while Keri Sanchez and Terra Easterlin earned Merit awards. Congratulations to these students and to all of the art students whose work was chosen to exhibit! !